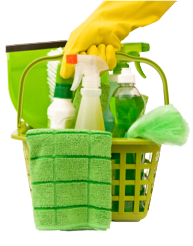 We manufacture cleaning chemicals for all industries. We will analyse our clients requirements, and make the correct reccomendations of products for each specific application. Our laboratory will design and develop , speciality chemicals and systems that tailor made for such unique applications, where our extensive standard range does not cover. If you have a cleaning problem, we have the solution. DYNAKLEEN 80 is a granular free flowing highly alkaline product. It contains alkalies, phosphates, wetting agents, corrosion and scale inhibitors. DRISTRIP is a highly concentrated stripper for polymer floor dressing and other ?Dri-Brite? floor polishes. CWT 500 is a powerful dispersant, scale and corrosion inhibitor for open and closed cooling systems. CRETEX is a white synthetic modified liquid rubber. It is based on butadiene/styrene copolymer. CRATEWASH L is a water white liquid with a neutral odour, slightly viscous liquid. COROHIB L is a solvent cutback, water displacing soft wax/oil base, corrosion preventative compound. film is oily, light amber and translucent. CM 104 is a liquid Compound heavy-duty tank cleaner containing wetting agents and detergents with built-in de-emulsifiers. CIRCUKLEEN L is a low non-foaming liquid detergent sanitizer for the food industry. CF ACID is a dry acid cleaner formulated to remove water and rust scale deposits. CEMENT ACCELERATOR is a red coloured liquid that contains Calcium Chloride. BRASSEX is a light brown, flowable cream. BLOSSOM is a concentrated bactericidal airfreshener. AUTOGLAZE . The cleaner and Deep Gloss Polish for all surfaces. Ideal for use on all cars, trucks, L.D.V. ?s and all enamel surfaces. AIRGLO is a cleaner and Deep Gloss Polish for all surfaces. Ideal for use on all cars, trucks, L.D.V. ?s and all enamel surfaces.